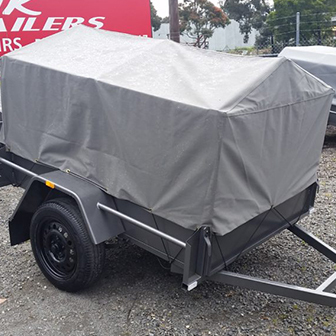 Trik Trailers offers the best in class trailers at reasonable rates in Pakenham: 20 Purton Road Pakenham, VIC 3810, Dandenong and its nearby areas. We provide trailers for hire and sale at attractive prices. All our trailers are manufactured by professionally trained experts and adhere to the highest standards of safety and quality. 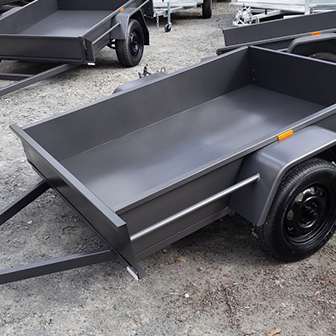 If you do not wish to invest in a new trailer, you can hire a trailer from Trik Trailers. We also provide trailer repair services and also help you with the registration process for your trailers. This trailer is suitable for light loads such as camping gear, tents & push bikes. Ideal for the family getaway when there is not enough room in the car boot. Perfect for camping , moving house & general use. Canvas cover is water resistant and removable for taller items. Our most popular model with a chequered plate floor & strong chassis. The ideal trailer to have in the backyard for tip runs, garden rubbish, furniture & domestic chores.